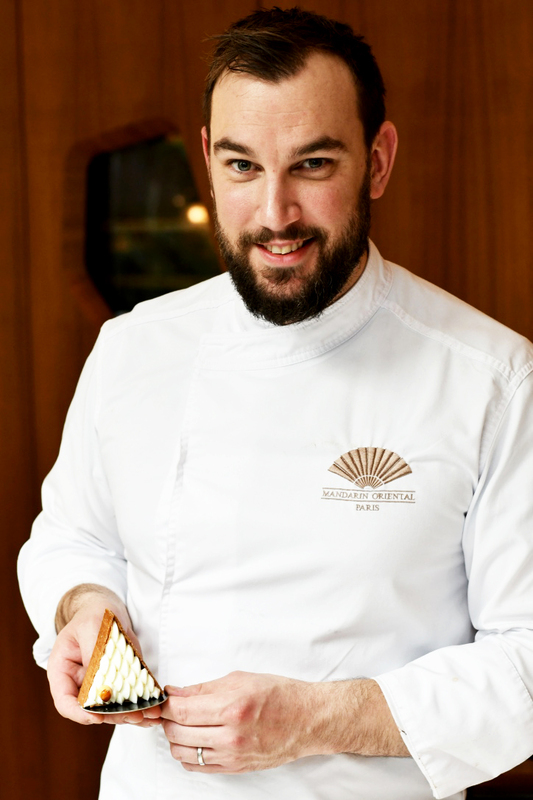 At only 34 years old and for a few months now, this Lorrainer is the pastry chef at the very famous Parisian palace « Le Mandarin Oriental » alongside Thierry Marx. 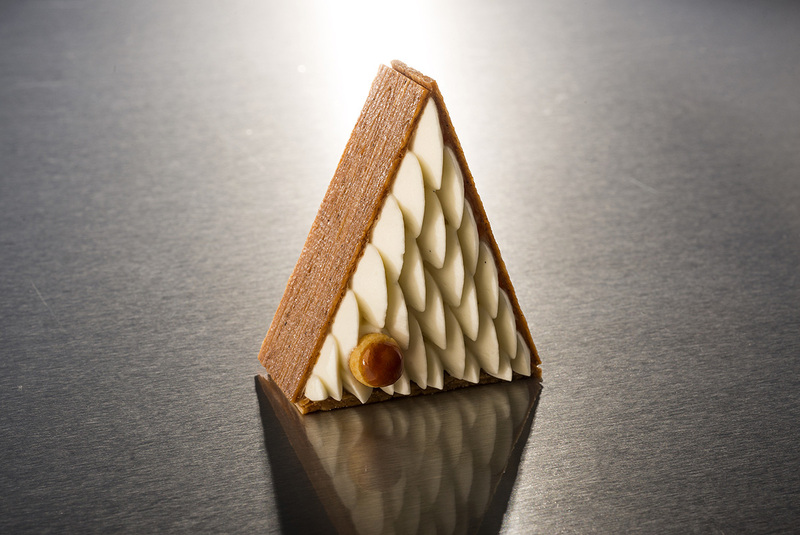 After passing through Michel Rostang’s Pâtisserie des rêves and Pyramide de Vienne, he is now known as the best in rue Saint-Honoré with his pastry carrying the same name. A meeting with a calm force, both friendly and talented ! Adrien, your standing pies are invading social media. Where did you get this idea from ? It came to me when I was looking at a circle lamp at home. I wanted to imagine a pie that looked different from the one we already know and so I said to myself: why not make it stand up and fill it halfway so you can see through it ? Did you expect such success ? Honestly no! But it’s true we’ve never seen this shape before. I try not to do the same thing as everyone else. Like for the Saint-Honoré ! I know you come from Lorraine. Is it where you started doing pastry ? Yes I’m from Nancy. At first I started out as a cook; I worked in starred restaurants. But I wanted a training in pastry, and I had an exceptional mentor. I promised myself that if I get the opportunity to work with pastries, I would take it. And I did! 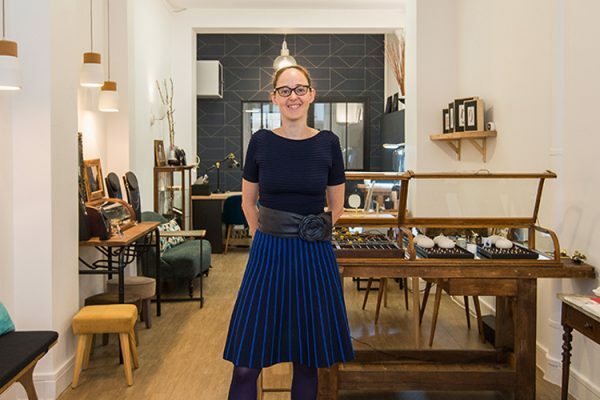 Madame Mutel, head chef at “La Maison dans le Parc” in Nancy handed me my first opportunity. And so I began ! Today, where do you get your inspiration ? So I moved away from pastry to get creative. I began looking for inspiration elsewhere like in nature or design! The egg that we are introducing for Easter is in fact a globe that I once spotted in a design store. 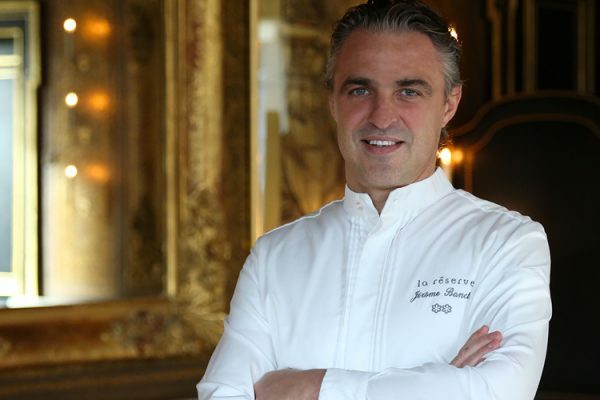 When we look at your career we only see famous names, is it essential for you to evolve with the finest French gastronomy houses ? Yes. I never saw myself doing classical pastry. 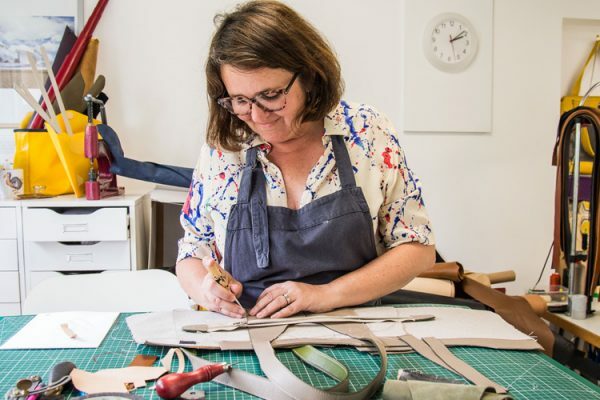 I really want to be able to make creations without any restrains. I have great respect for the work of every craftsman and small pastry. But I wouldn’t have been able to create the vertical pie ! I need a very technically strong team behind me. We need to master the lining of the dough, the mousse, the ganache with incredible textures… when the little things are put from end to end, they make great pastries. How do you feel about people coming all the way just for coffee and a taste of your pastries ? I think it is incredible! Everyone knows about our creations from social media. The palace is known for its high prices. 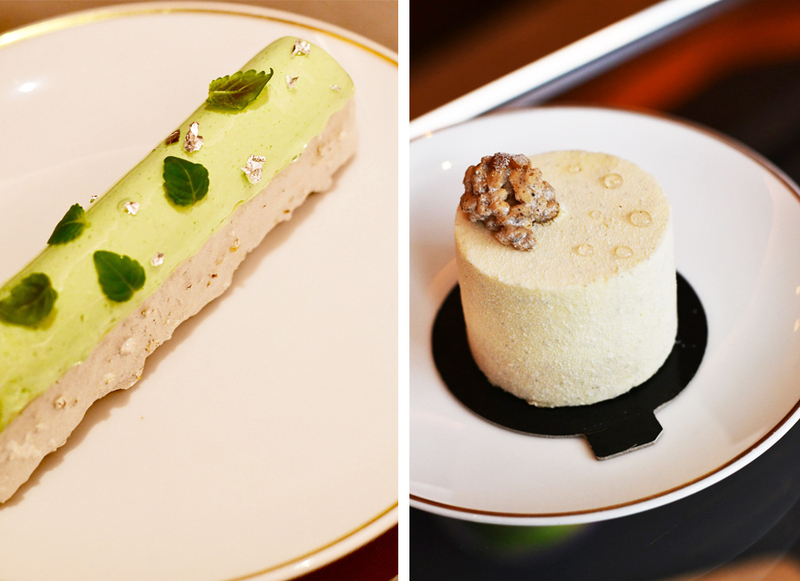 It’s good that people are still walking through the door of Le Mandarin Oriental for pastries. But people can also visit for the amazing cocktails they serve at the bar. 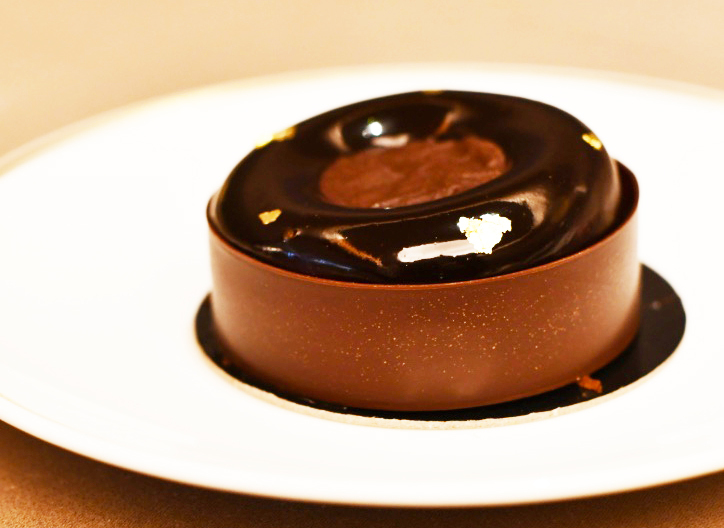 What is the most important quality to become a good pastry chef ? 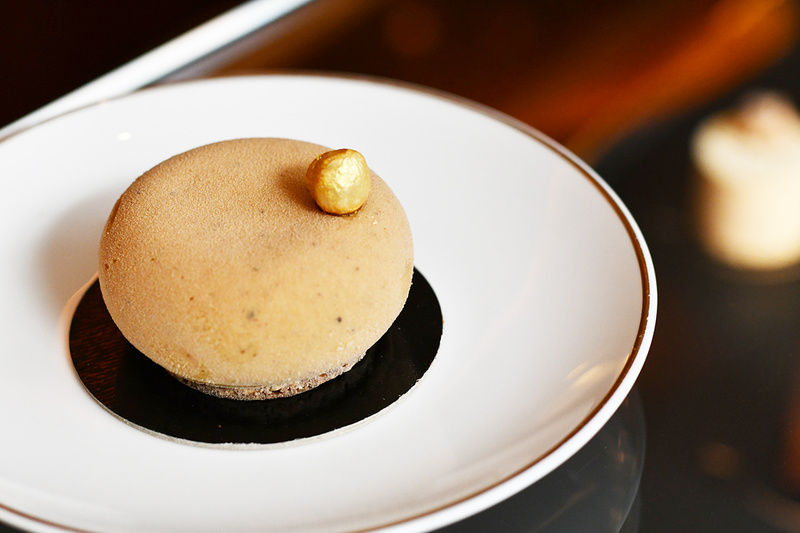 What about the necessary quality for being a good pastry Chet at Le Mandarin Oriental ? Passion, precision and always wanting to do the best ! And you, what is your favorite dessert ? My grandmother’s mirabelle tart ! If I had ti choose one pastry to taste here, which one should I try ? The Saint Honoré of course ! 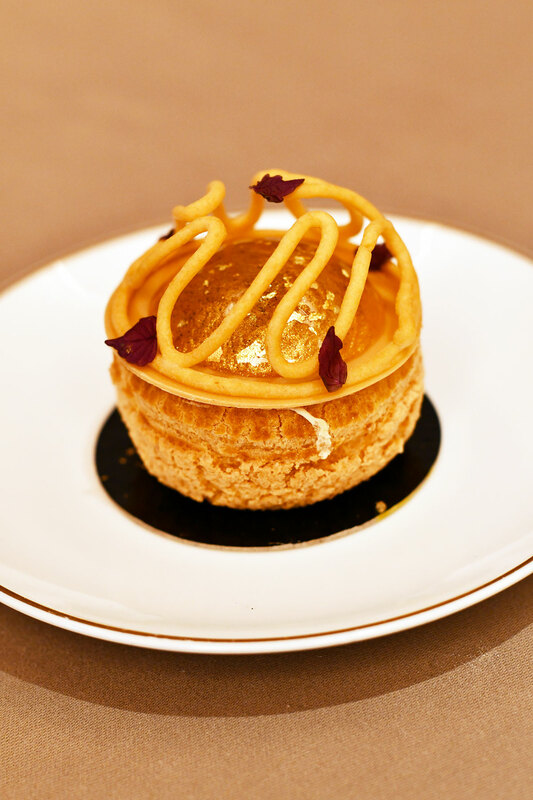 The Saint-Honoré (but that you already know) The crème pralinée on the inside is a very nice surprise. The pastry menu is very well made. It’s impossible not to find your happiness among the 7 pastries offered. Each is very different. 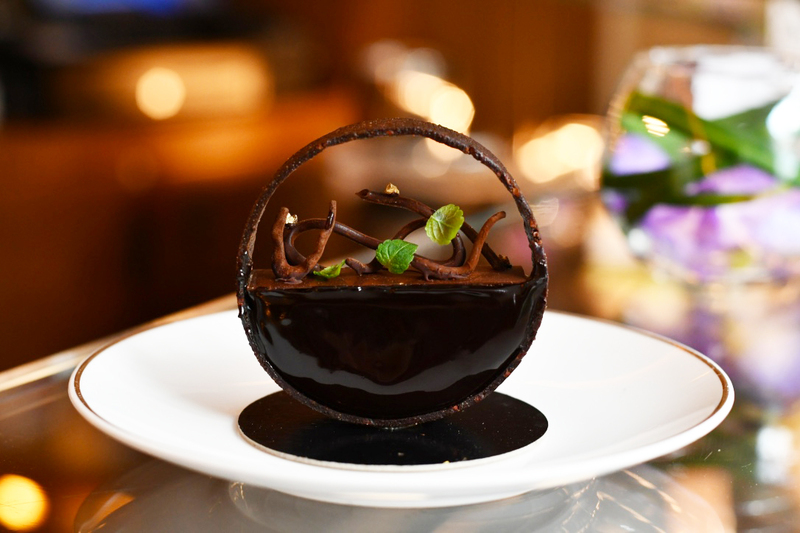 The “Sweet n Strong” chocolate tart. A true work of art! Next time, this is definitely the one I will try! Sweet pastry with cocoa nibs and gluten-free, pure chocolate mousse from Peru and Jamaican pepper, creamy Abinao, caramelized chips, chocolate branches… That’s one hell of a woman his grandmother ! PREVIOUSInside the kitchen of a starred chef!